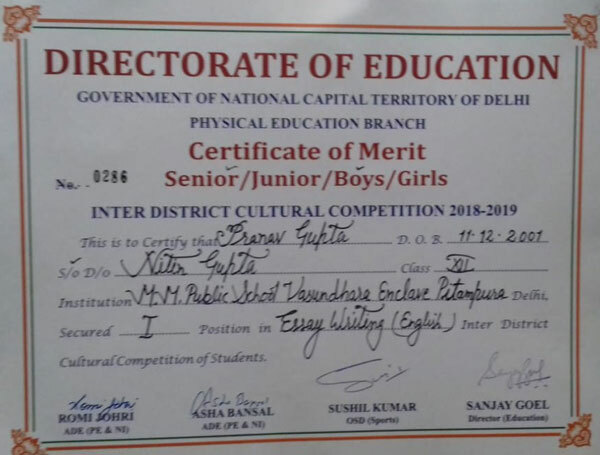 Pranav Gupta of class-XII brought laurels to the school by securing first position in ENGLISH ESSAY WRITING COMPETITION AT STATE LEVEL thus being a shining star in penning down his creativity and expression on the topic ‘Stress among Adolescents’. 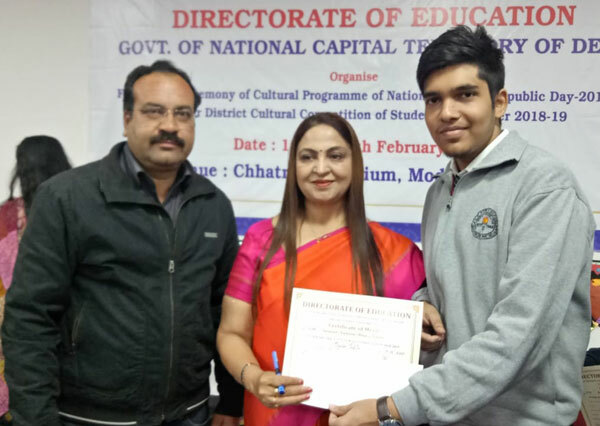 He was felicitated and applauded with a certificate of Merit and cash prize of rupees One Thousand on Tuesday 19th February 2019 at Chhatrasal Stadium by Directorate of Education ADE Physical Education Mrs.Romi Johari. The school congratulates and conveys its best wishes for his future endeavor.